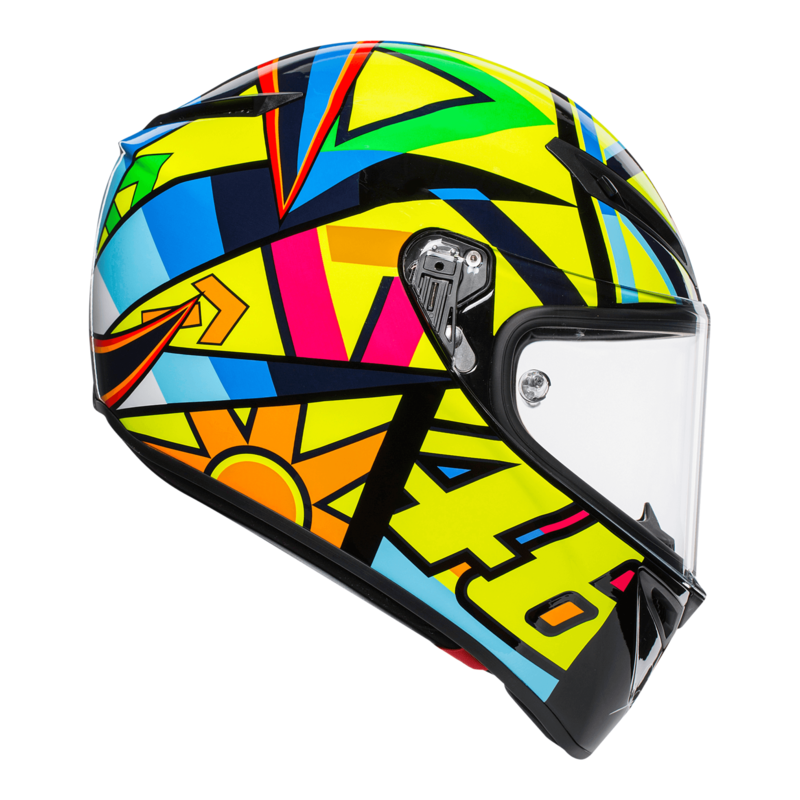 The AGV Veloce S is designed for riders who want the feel of a motorcycle sports helmet but the function of a street riding helmet. 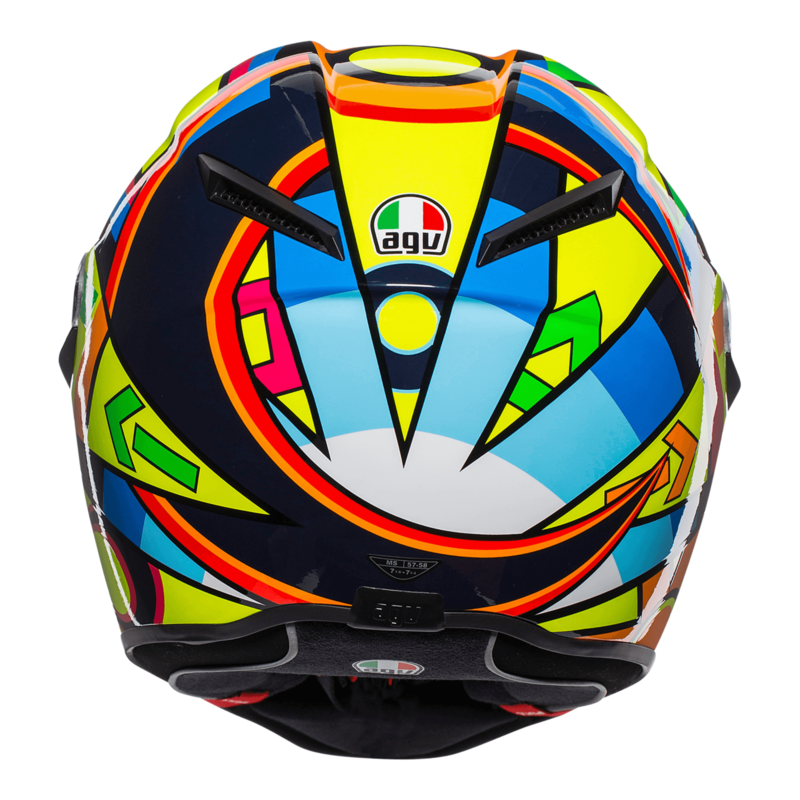 Introducing the latest addition to the AGV Veloce S collection. 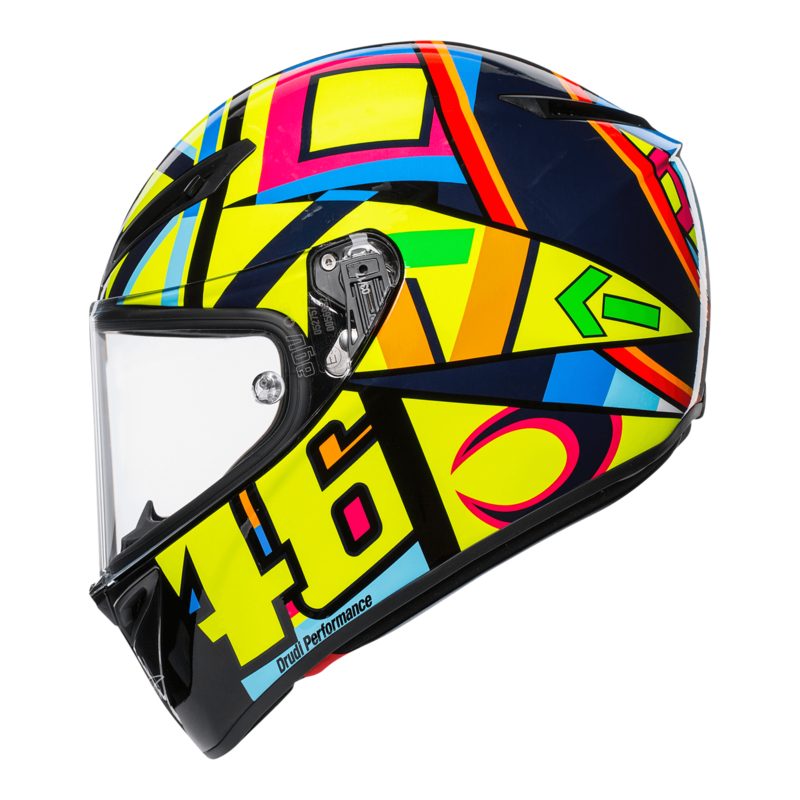 The Soleluna 2017 replica helmet is ideal for any fan of the Moto GP legend Valentino Rossi. 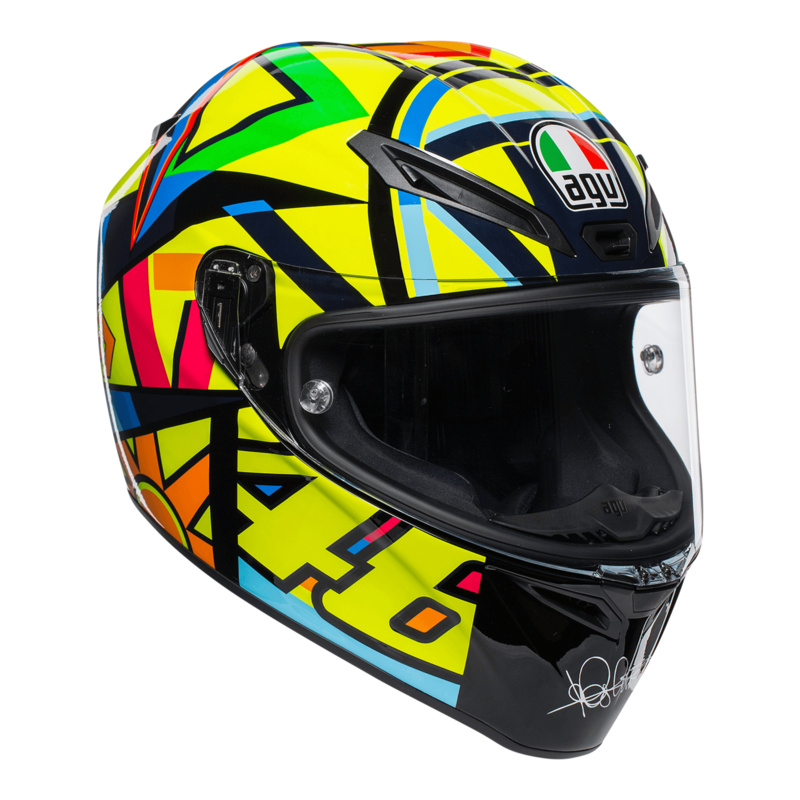 Thanks to this premium sport model from AGV, high-performance features typically found in a racing helmet are now available in a street-friendly package. 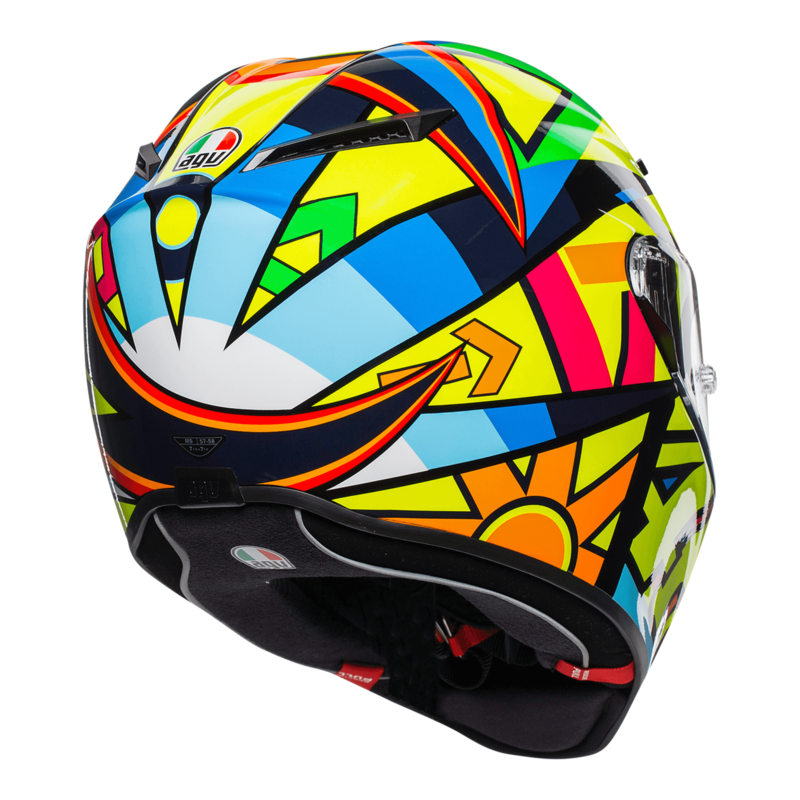 The shell construction is a mix of carbon, aramid and fiberglass, and the new interior is designed to provide a stable, embracing, pressure-free fit. The anti-scratch visor incorporates Pinlock® anti-fog technology and is designed to maximize the rider’s field of vision. New Veloce-S interiors construction is engineered to allow a stable, embracing and pressure free fit and to maximize dynamic comfort. Removable nose guard and wind protector. Class Optic 1 visor with Pinlock® anti fog technology is designed for maximum vertical and horizontal view (190°). Visor is anti-scratch and ready for tear-off. Patented Visor Lock System (VLS) reduces the risk of accidental opening in the event of an accident: visor thickness is up to 3.3 mm, increasing face and eyes protection in the case of an accident.